A controversial episode of the National Geographic series BORDER SECURITY: Canada’s Front Line will not be broadcast, the president of production company Force Four Rob Bromley confirmed today. 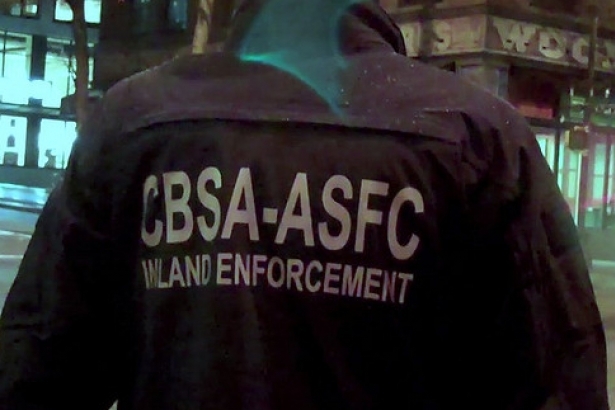 The episode, which involved CBSA officers raiding a construction site in search of two illegal immigrants who were wanted for “serious criminality”, and ended up detaining eight other illegal immigrants while cameras were rolling, resulting in the deportation of those individuals. "It appears that persons interacting with the CBSA, including foreign nationals, Canadian citizens and permanent residents are filmed for Border Security without their prior consent." Opposition to the show has culminating in a campaign spearheaded by activist group No One is Illegal. The campaign currently has the backing of 90 different community, human rights, and legal organizations, and a 24,000 signature petition is being circulated. In a briefing note obtained by Postmedia News under access-to-information laws, the CBSA will limit filming of enforcement activities away from the border to situations involving individuals wanted for “serious criminality” or individuals on the CBSA’s “most wanted” list. The note cites a “negative public response" as the reason behind this restriction. Through a spokesman, Bromley said that while he was not aware of the note. “It’s always been our policy only to film inland enforcement stories that involve people with serious criminality,” he said. The Vancouver raid would not be shown, he said, “as the individuals did not fit the criteria we had already established."